Thank you so very much for participating in a bowling league at The Alley! During July we will be offering specials to all our Alley league members! · Three free games of bowling each week(bowled consecutively to mimic league play-see below for details). · In café area behind lanes 11&12, new specials advertised each week! · Bowling Ball Detox & Resurfacing! Bring life back to your ball for only $20 (half price)! · During last two weeks in July, Prize Spinner Wheel for Qualifying League Participants! · Pro Shop Discounts during the last week in July, to get ready for fall league! We have provided your Captain with league bowler surveys to be filled out and returned to us by July 20th, to better understand what our league players would enjoy. The survey is also available on our website under the tab for League Survey. We value your opinions, and experiences. Please share your ideas and suggestions with us, along with answers to the questions, so that we may best serve you. If you turn in a survey by July 20th, you will receive one free game of bowling, and an entry into a drawing for a Bowling Party for 10! This will include bowling for two hours, rental shoes, a couple pizzas, popcorn, and drinks. The drawing will be on July 21. Your Team Captains are submitting your team’s nomination for a person to participate in the new League Oil Pattern Committee by 5pm Tuesday, July 3rd. This committee will consist of 12 people who will meet during July, to analyze and adjust a base oil pattern. During each week of July, every league bowler who has subbed or bowled in a league at the Alley from June 2017 through June 2018 is welcome to come in and bowl three games on the new adjusted oil pattern and then fill out a form, to give the committee your feedback. 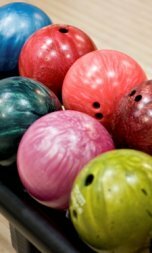 We will have lanes 11 & 12 oiled daily for league bowlers to come bowl and a brief form for you to fill out after bowling on the new patterns. The lanes will be available on a first come, first served basis. 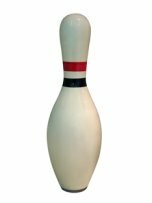 In order to get the best feedback, it would be helpful to bowl with multiple people, to mimic the conditions during league team bowling. This will allow the committee to collect applicable feedback as they work to design a shot that will work well for the majority of bowlers in the leagues. We look forward to seeing everyone come in for bowling, fun and prizes! Please consider filling out the survey, putting slips in our suggestion box, giving us a call or email, or even asking Kelly, Tiffany, or Gary to meet with you independently to give us feedback! 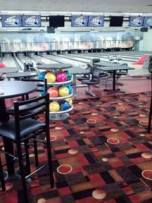 We appreciate hearing about anything we can do, to improve your experience at the Alley.